The Turkish Navy announced that, the Gabya class Frigate F-497 TCG Göksu will take part in Joint Task Force-151 (CTF-151) between 6 June and 6 December 2013. 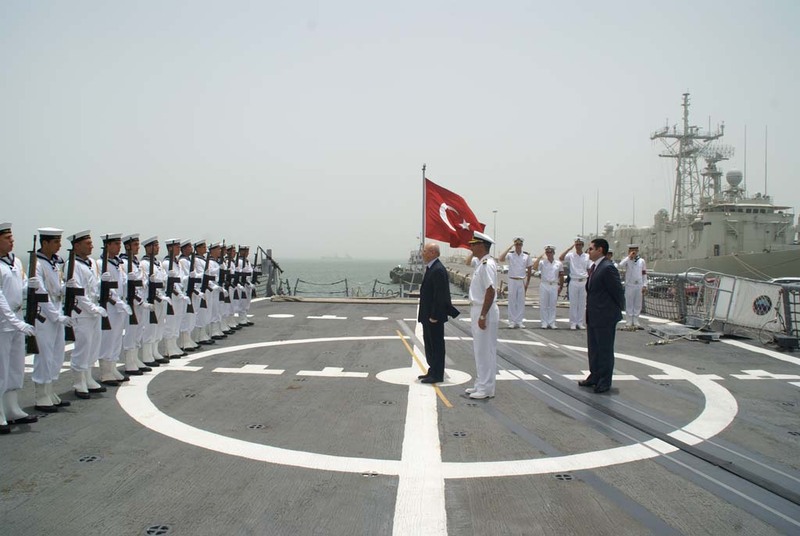 On 6 June 2013, on board of TCG Göksu was command hand over ceremony of CTF-151. Real Admiral Muhammad Ihsan Qadir from Pakistani Navy, replaced Read Admiral Giam Hock Koon from Singapore Navy. TCG Göksu will serve as the flagship for Real Admiral Muhammad Ihsan Qadir in the next 3 months.